NEW YORK -- A man on death row for killing two undercover New York City police officers cannot be put to death because he meets the legal standard to be considered intellectually disabled, a federal judge ruled Tuesday. In his 76-page decision, U.S. District Court Judge Nicholas Garaufis vacated a prior order that sentenced Ronell Wilson to death and instead sentenced him to life in federal prison without parole. The judge conducted a hearing in 2012 and found that Wilson's IQ scores seemed to show he had sufficient intellectual functioning. However, the judge did not consider other evidence of deficits in his "adaptive functioning," or how well he interacts with society or cares for himself. In 2014, the U.S. Supreme Court ruled that a judge could not rely solely on a person's IQ score to determine whether they are intellectually disabled, and an appeals court ruled that Garaufis should to review his finding. In his recent ruling, the judge found Wilson developed intellectual and adaptive deficits before he was 18. 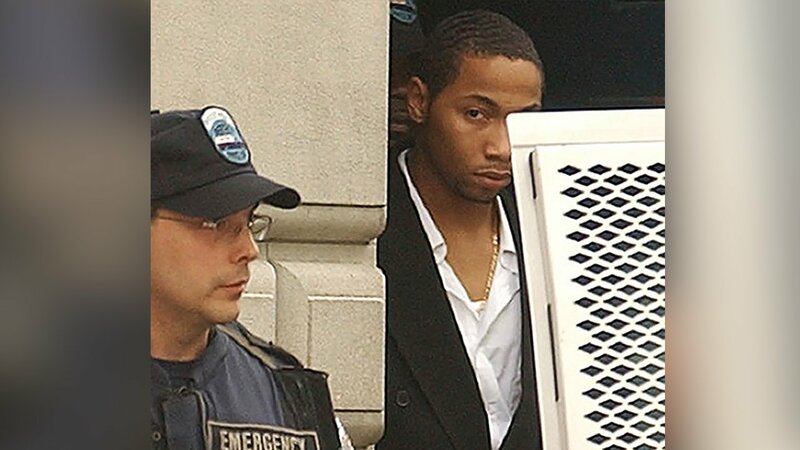 The 33-year-old Wilson was a young gang member on Staten Island when he was charged in the March 10, 2003, point-blank shootings of undercover detectives James Nemorin and Rodney Andrews in an illegal gun sting gone awry. The officers were shot in the backs of their heads. A jury convicted Wilson and sentenced him to die by lethal injection, making him the first federal defendant to receive a death sentence in New York City since the 1950s. But an appeals court threw out the sentence in 2010 because of an error in jury instructions. Prosecutors chose to repeat the penalty phase rather than let Wilson serve an automatic life term, and a second jury re-sentenced him to death in 2013. Since then, Wilson has been on death row at a federal prison in Terre Haute, Indiana. A spokeswoman for the U.S. attorney's office in Brooklyn declined to comment on the judge's ruling. Last week, police held a memorial service marking the 13th anniversary of the detectives' deaths. Michael Palladino, the president of the New York City Detectives Endowment Association, called the ruling disappointing and said it means "justice was denied" for the slain detectives' relatives. "An awful lot of calculated thought went into Wilson's cold-blooded actions, as well as his attempts to avoid capture," he said. "That hardly spells out 'mental incapacity.'" While Wilson was incarcerated in New York City in 2012, he impregnated a guard at a federal lockup. Their child, Justus, was born shortly after the guard, Nancy Gonzalez, was arrested. She was sentenced in 2014 to serve one year and one day in prison for the relationship.